Raleigh, N.C. – On March 27th, 2014, Smith Anderson attorneys Charles Kabugo-Musoke and Kerry Shad served as “Becoming a Professional” panelists as part of The University of North Carolina School of Law’s Diversity Week. Charles and Kerry were joined as panelists by seven other Carolina Law alumni, including Smith Anderson’s Director of Professional Development, Kelly Smith. The panelists shared some of their personal experiences with diversity in the workplace. The “Becoming a Professional” panel discussion and networking session was developed by several Carolina Law student groups, including the Asian American Law Students’ Association (AALSA), Black Law Students’ Association (BLSA), Hispanic/Latino Law Students’ Association (HLLSA), Native American Law Students’ Association (NALSA), Lambda and the Student Bar Association Multicultural and Diversity Committee. 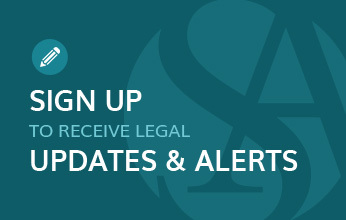 For more information on Carolina Law student organizations, please visit http://studentorgs.law.unc.edu/. Smith Anderson strives to embrace the differences that make us unique and is committed to creating and maintaining a diverse and inclusive law firm. Diversity and inclusion at Smith Anderson means embracing and celebrating the variety of experiences and backgrounds that make for a stronger internal culture, while better reflecting the communities and clients we serve. For more information on the Firm’s Diversity Committee and its efforts to maintain an environment in which differences are valued, please visit www.SmithLaw.com/Diversity.